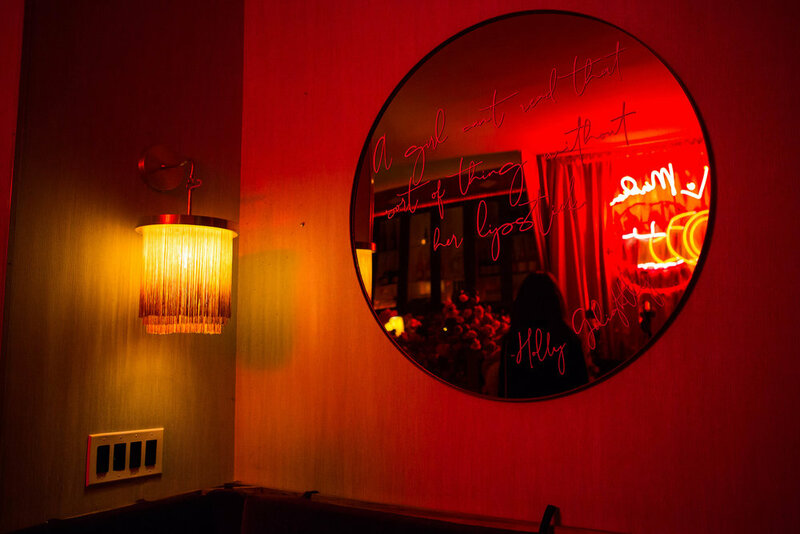 During New York Fashion Week, French hotel brand, Le Méridien, hosted an intimate Valentine’s Day party embracing the humor and romantic indulgences of the February holiday. For the occasion, The Gathery transformed the Air’s Champagne Parlor into an ode to jazz clubs of yesteryear treated in the brand’s unmistakable mid-century lens. Over-the-top florals covered the façade and bars while a charming custom neon-sign flooded the room in rouge lighting. A delectable and aphrodisiac menu of caviar and oysters along with a selection of the finest pink and brut champagne kept guests well-fueled. Love message from recognizable poets and musicians covered mirrors throughout the cozy venue while a custom flower cart ensured guests would leave with a selection of hand-picked blooms. 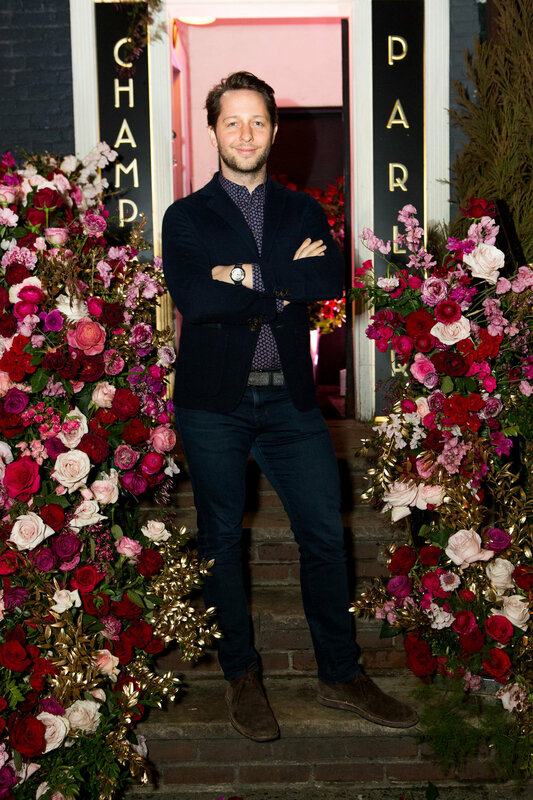 The evening, co-hosted by Derek Blasberg, culminated with a curated set of love songs interpreted by the hotel brand’s music directors, Nouvelle Vague.